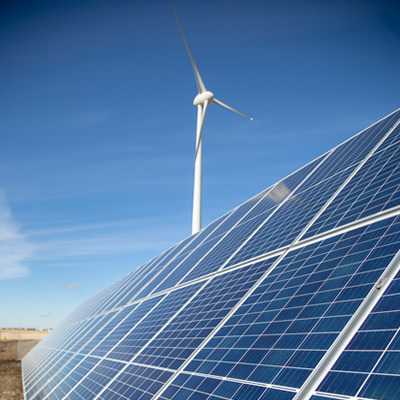 The Saskatchewan Research Council (SRC) worked with the Cowessess First Nation to install 1,134 photovoltaic panels at the Cowessess Renewable Energy Storage Facility, a wind turbine and energy storage project in southern Saskatchewan. 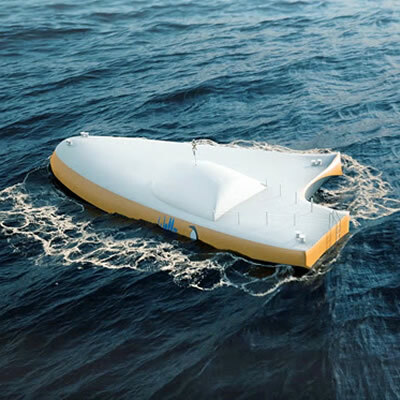 The addition of solar makes this hybrid wind-solar-storage project unique. SRC plans to monitor the facility’s performance and measure its capabilities over the next year. The project contributes to the province’s climate change strategy while checking all the boxes for connecting to the grid. 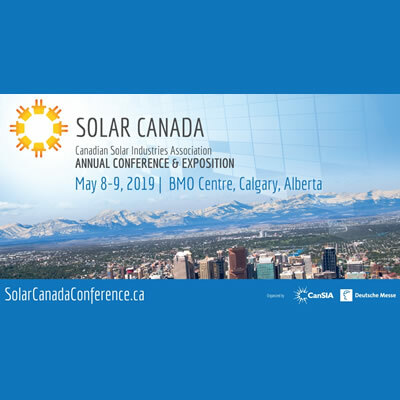 The synergy between solar and wind and the addition of battery takes advantage of two available renewable energy forms in Saskatchewan. Separately, the variability of both wind and solar make these energy sources usual suspects for hesitation. Together, and with the help of the battery, the variability is remedied and reliability increases. For many in the renewable energy, the desire is to store mass amounts of energy. This facility takes a different approach for the storage challenge. “We are trying to make renewables more manageable from a grid perspective,” Farber said. The focus on storage isn’t only to stock up on power for a rainy, windless day, but also to smooth the output of power. For example, the wind turbines can jump to excessive levels in only a few minutes, then dissipate just as quickly. The grid can’t afford power surges in either direction. “Our utility has stringent requirements to be met, so that led to challenges,” Farber said. The ability to store energy provides the ability to steady this stream of power allowing a consistent connection to the utility. The Cowessess Renewable Energy Storage Facility has garnered quite a lot of interest since commissioning Phase 2. “Everyone is curious to see how it will perform,” Farber said. “The results of the study are still a year away, but everyone is excited to see these components working together in a single facility.” They are interested in how the batteries will benefit the system and increase the penetration of renewables into the energy grid. Smoothing the stream of energy is the priority for the project right now. 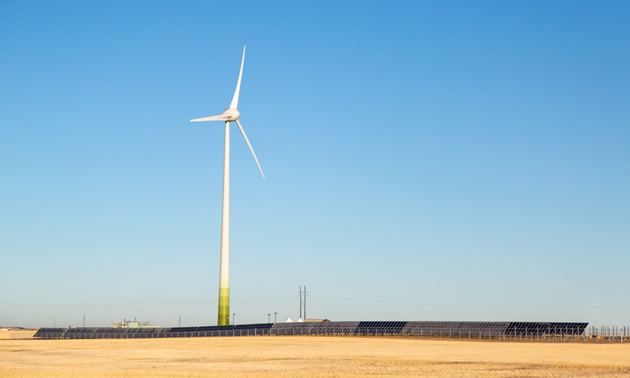 “We hope that the solar will complement the wind and assist in levelling the energy sources, as well as provide additional energy that will help maintain the state of charge in the batteries,” said Farber. If successful, SRC hopes that other interested parties will build on what they learn, implementing their own storage solutions. 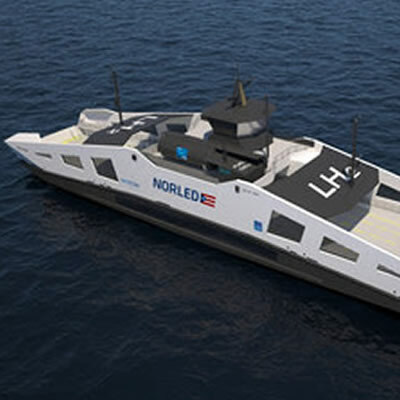 “The facility itself has been highlighted as a research laboratory where others could come try different control algorithms and challenges to see how the battery and renewables work together in varying applications,” he said. The challenges of batteries are quite diverse, so there are still plenty of areas to explore. “Ideally, people will come to our facility to look at other areas of challenge in electrical generation systems,” said Farber.